We’re very lucky in Bristol to have a massive selection of second hand shops (both vintage or charity) but despite living here for almost 4 years in total, I still am pretty clueless about where to go. I hopped on a bus, and headed up to Gloucester Road first of all. 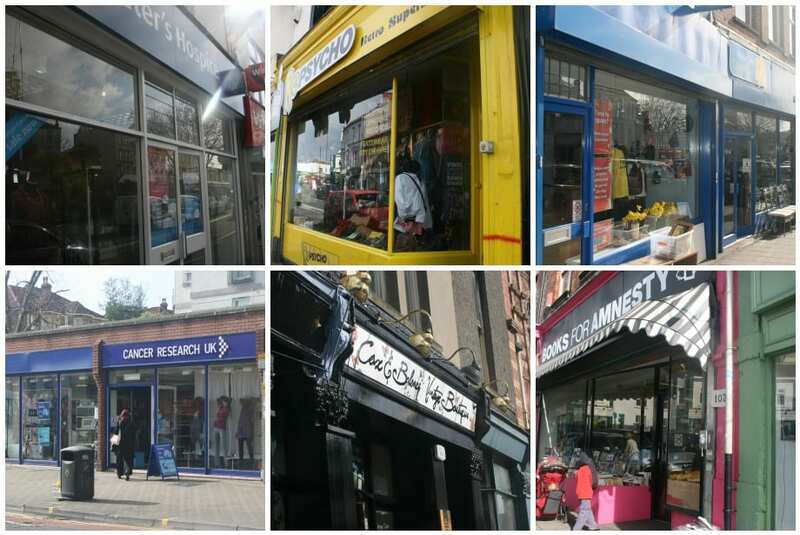 Gloucester Road is a great place for independent shops and it has so many charity shops along it. Within a few minutes walk of each other, you have St Peters Hospice (which raises money for the only adult hospice in the Bristol area), Cancer Research and Marie Curie Cancer Care. These are all your typical charity shops – you know the type, a random assortment of items at tiny prices. 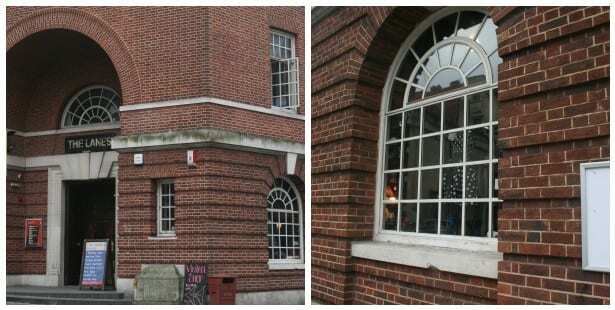 Recently, CLIC Sargent opened a shop just along from these which is specifically a vintage charity shop. I’m not sure how exactly a vintage charity shop differs to the usual type, but it will be interesting to see how it does. Theres also a Amnesty International bookshop – I can never resist a charity bookshop but hadn’t been in this one before! Just down the road is RePsycho, a vintage and retro shop. This tiny shop is crammed with mens and womens clothing – theres barely any room to move! This can be a great thing because of the amount of choice, but when I visited, there was quite a few people in there so it felt a bitÃ‚Â claustrophobic. Apparently they also hire out party wear and have a music exchange in the basement although I couldn’t actually see where those were! Further down, past the railway bridge, is my new favourite shop, Cox and Baloney Vintage Boutique. I’m a little bit in love with this shop I think. On one side, theres a little tea room, with gorgeous china for sale, and on the other, different rooms full of clothing, books, things for the home and even a dressmaker in the basement!Ã‚Â DefinitelyÃ‚Â one to visit again soon. The Love Gloucester Road website has more information about some of the shops that are along here, but I think the best way to find out about them is to just wander down there yourself! Clifton Village is often the first place people mention when looking for good charity shops, and the Oxfam shop on Regent Street is usually my first stop because they usually have a great selection! The Save the Children shop just along the road is also a great choice, although whenever I’ve been in there, theres usually still so many bags of donations to be sorted through. Focus on the Past is an antiques centre where different dealers have set up a co-operative to sell more homeware based items. 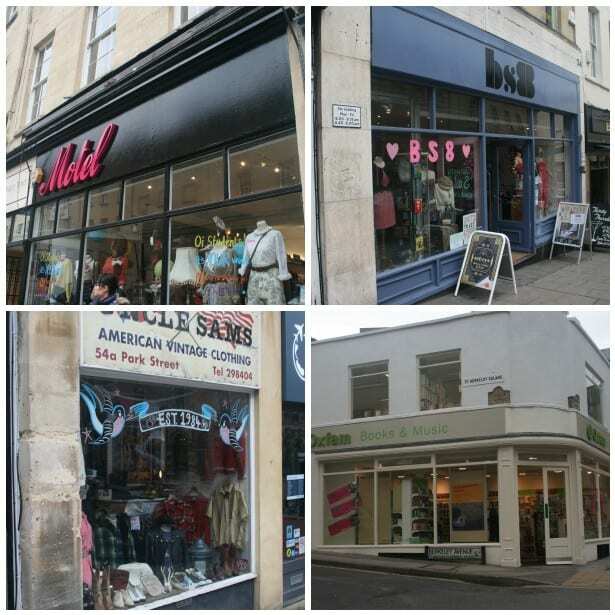 Clifton Online has aÃ‚Â list of charity shops in the BS8 area on their website. Walking towards town from the Village will usually lead you along Park Street. Theres not many charity shops along this part of town, with just the Oxfam bookshop at the top. Being so close to the University of Bristol, this is a great book shop for non-fiction books. Walking down the hill, you’ll come to Uncle Sams American Vintage Clothing. I’d love to tell you more about this shop, but in the 5 years I’ve been visiting Bristol, I think I’ve only seen this shop open once! The one time I did go in though, they had a great selection of vintage clothing, mostly mens clothing, but they had some gorgeous shoes and a pair of roller boots that I really wish I’d bought. Further down, BS8 is a huge shop on three floors made up of different sellers – my favourite has to be the little gift shop at the front of the basement! Motel is aÃ‚Â familiarÃ‚Â name to quite a few people because of the success of their clothing in places like Topshop, but the Bristol store also sells vintage accessories, with a great collection of shoes and bags. The Lanes started off a few years ago just as a bowling alley with a bar, but its expanding all the time. Upstairs, you’ll find the Rock and Bowl Motel and downstairs, Gimme Shelter vintage boutique. Gimme Shelter also organises a vintage fair ever month at the Lanes, bringing together some of the best vintage shops around Bristol. If you’re more Bath based, then later this month, “Its Darling!” vintage and artisan fair will be held in the Friends Meeting House. Too busy to get out to the shops, or are you like me, and never seem to find those amazing bargains your friends always seem to come away with? Go online!Ã‚Â St Peters Hospice is the only Bristol based charity I know (please correct me if I’m wrong!) that alsoÃ‚Â sells items on eBay that would normally go into the shops. This is a fab idea because it allows people all around the country to not only get a great bargain, but help a great charity. Oxfam also does the same sort of thing with theirÃ‚Â second-hand store. The above blog post was originally written for Groupon, but after it published there, I asked the lovely people of Twitter if they could recommend some others. Jemma very kindly emailed me an awesome list, so I asked if I could share it with you guys, and she said yes. Thanks Jemma! Billie Jean, Gloucester Road – sells well-priced vintage and second hand clothes and linen – from Liberty silk scarves (ask to see the really special ones under the counter) to 70s dresses and retro curtains. Also does an excellent line in proper men’s felt hats, and blokes who want to channel Gossip Girl’s Chuck Bass should check out the hundreds of bow ties. Clifton Vintage at the Clifton Village Arcade – a small unit full of beautiful vintage finds – I love the piano shawls, fake fur coats, amazing bags and 50s jewellery. The lovely and helpful owner has a great eye for seeking out vintage bits that the catwalks are currently channeling. Cotham Hill – what I call “the chazza run”. There are several charity shops in this area, from PDSA next to Sainsburys Clifton Down right up to Oxfam where it meets Aberdeen Road, including three or four others all in a row for speedy browsing. Theyre all worth a look but St Peter’s hospice seems to come up trumps, and a few of them have a special vintage/ fancy dress rail to save you sifting through the Primarni cast- offs. Don’t forget retro clothes sales and hire from Naff on the other side of the road for your fancy dress or out-there outfits too. North Street near the tobacco factory – another mini-run of charity shops. Not as good as they used to be – at one time all of my favourite shoes were from the Cats Protection League – but inexpensive and worth a look if you’re that side of the river. Further down North Street on the other side is a little vintage place I can’t remember the name of but they had retro hip hop stuff and some nice bags. Focus on the past – this antiques shop in Clifton Village is mainly furniture and trinkets but they have a little rail of genuine vintage clothes and bags, and a few cabinets of old costume jewellery in all colours. Good if you like brooches or have a thing for vintage resin/plastic or paste jewellery. If you have any tips on amazing charity shops, let me know! Focus on the Past was my favourite shop when I was in Bristol – I got some lovely things there, including a vintage printers press and a load of print letters which I adore! how amazing, you are totally spoiled with the amount and variety of shops! OUr tiny local town has 6, and some of them are rubbish. Please be taking me to visit these! hi guys, I have to say a lot of people seem to miss out the totally fantastic St Peter’s Hospice on St Michaels Hill. If you know Cotham Hill, it isn’t that far, walk up Cotham Hill to the mini roundabout and turn down St Michaels Hill. The shop is set back next to the flower shop (…kinda diagonally opposite the co-op). Shop has lots of great clothes, academia books, collectables, dvd’s, cd’s and the staff are really very helpful and very friendly, always happy to have a chat…it really is a hidden gem in the city! I love this page!! I live in Bristol but only recently got into the vintage scene, setting up my own online store selling anything vintage and retro. Thanks for listing some hot spots as I was stuck for ideas. I would also like to mention ‘ The Reclamation’ place is brilliant too. Lets not forget Relics of Bristol, BS1 5UW down by Jacobs Wells Roundabout. We sell vintage, collectable and retro stuff, vinyl records and vintage record players as well as loads of new and secondhand furniture , art/framed prints, piled in over three floors….its well worth a visit. Hi I just went to Bristol at the weekend, and wow you really have everything there! What a beautiful city. I linked your blog in my post about it, because it helped so much! thanks! Plus the lovely Coffee/cake shop, and Three Pubs, this is a great place to visit……. parking is 50p min for 15mins up …shame on you Bristol City Council !! but there are some very interesting independent shops on the Harbourside /College Green end of St Georges Road .